In small bowl, mix butter and cinnamon. Separate dough into 8 triangles. 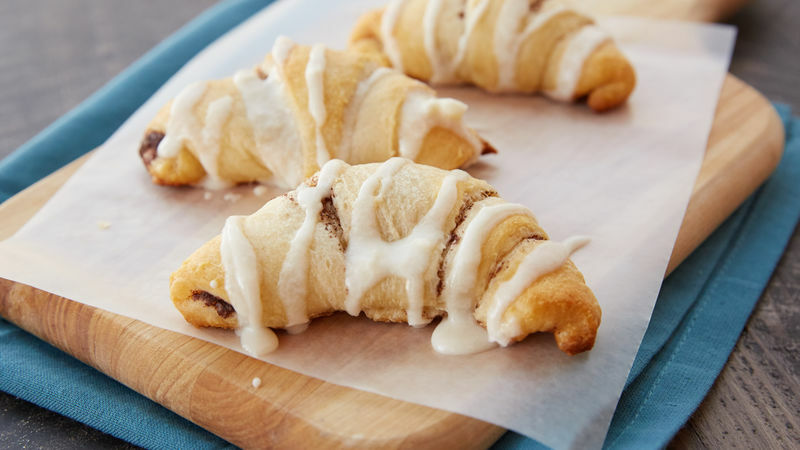 Spread each triangle with cinnamon butter. 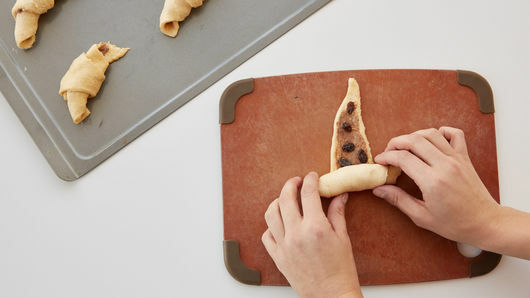 Sprinkle each with 1 tablespoon of the raisins. Roll up, starting at shortest side of triangle, rolling to opposite point. Place on ungreased cookie sheet. Curve into crescent shape. Bake 8 to 10 minutes or until lightly golden. Remove to cooling rack to cool completely. In small bowl, stir powdered sugar and 1 tablespoon of the milk. Add more milk as needed until thin enough to drizzle. Drizzle over cooled crescents. If you don’t like raisins, substitute chocolate chips. Make sure glaze is just thin enough to drizzle. If too thin, it won’t stick to the crescents.